The video clip above features an advert for the VIC-20 with William Shatner. As you will see, it's aimed at grabbing a slice of the Atari and Intellivision gaming hardware market, and is basically shoving two fingers up to them! 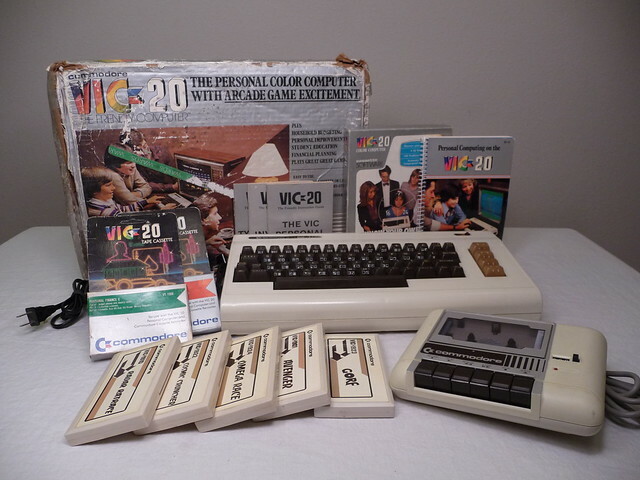 The VIC-20 is probably most-remembered for being the very first computer (of any type) to sell 1 million units. 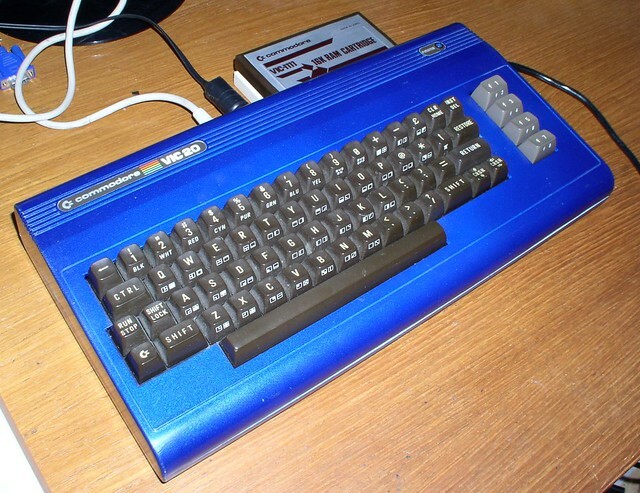 It was released in 1981 as a replacement for the PET, and used the same MOS 6502 CPU. With just 5kb of RAM, the limited memory was a bit of a nightmare for programmers to get around, although it could be expanded to 40kb by purchasing an add-on memory cartridge. Commodore roped in Scott Adams, an adventure game designer who founded Adventure International (with his wife Alexis), and who had already created text adventure games for the Tandy/Radio Shack computers such as the TRS-80. Five 16kb games were released on a ROM cartridge instead of on cassette, which solved the memory problem. 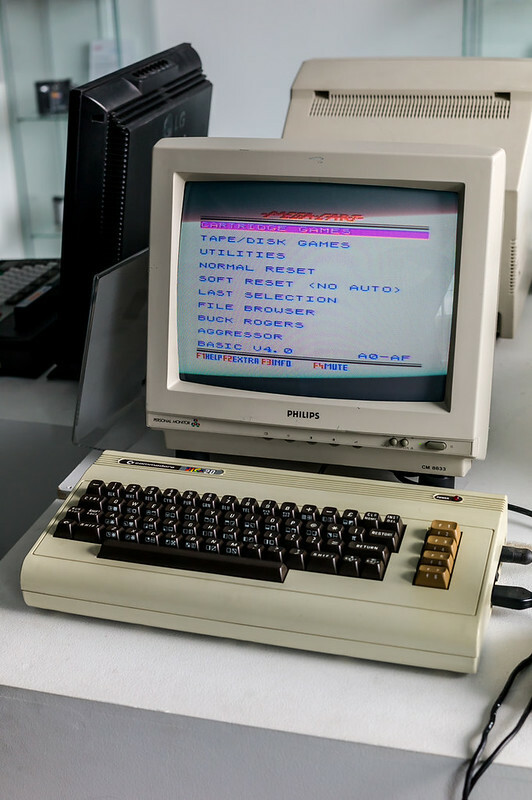 Despite the tiny memory and low-resolution display, some programmers did manage to create finance/spreadsheet programs, but the computer was mainly used for games and education. 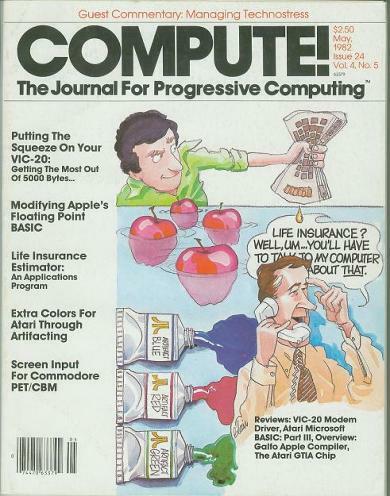 The Commodore BASIC 2.0 language was popular, with type-in listings being published in the popular home computer magazines of the day such as Compute! and Commodore Power Play. 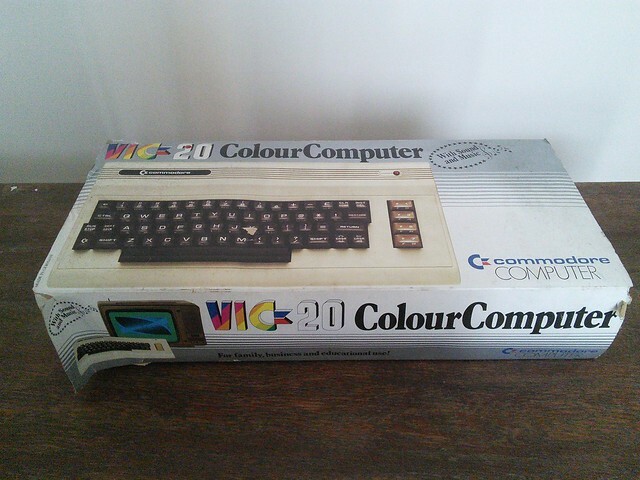 Production of the VIC-20 ceased in 1985, as Commodore concentrated on the C64 which had already been launched in August 1982. 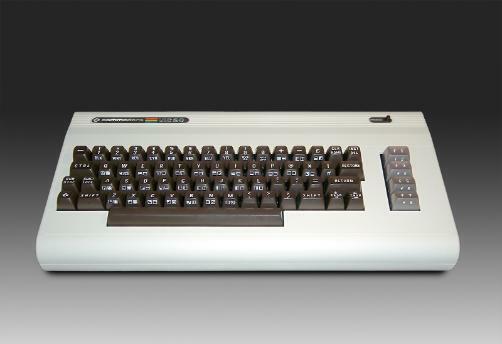 By the summer of 1983 sales of the C64 had soared (inevitably, sales of the VIC plummeted), and it went on to become the biggest-selling home computer of all-time. 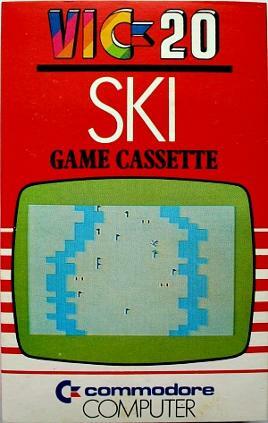 This was a pretty basic skiing game for the Vic-20 that could be controlled with the keyboard. I remember programming a similar type of game in BASIC and this was one of the simplest types of game to program. The Vic-20 boot-up screen. For those with no knowledge of the BASIC programming language, seeing the word "Ready" was perplexing. I can just hear thousands of new computer enthusiasts in their bedrooms shouting "What the hell am I supposed to do now?" This is a third party clone of Commodore's1530 tape drive and it was compatible with C64, C128, PET and VIC-20. 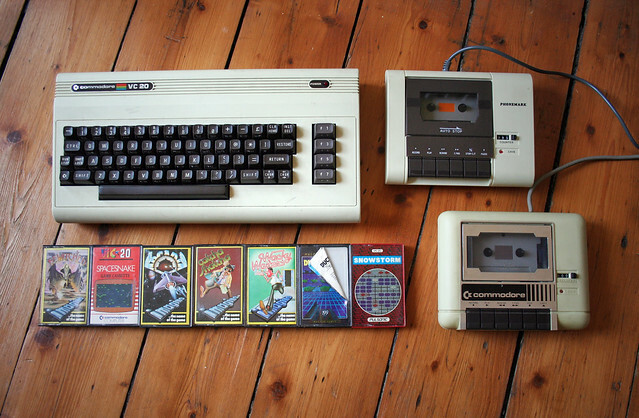 This is a great photo of a Vic-20 set-up, complete with scruffy box and manuals! A cool metallic blue one! Here is a video clip of a game called Wacky Waiters. The gameplay and commentary is by a programmer called Eugene Evans, and it's being playing on an unexpanded Vic 20. By the way, this guy admits that whenever he's commenting on a game he plays badly, as you will see! It looks like a very frustrating game, and you get the idea of how basic games were back in the day - we still loved 'em, though!